Yambo Ouologuem, the Malian author of Le devoir de violence (translated as Bound to Violence), has not been interviewed in nearly three decades. His doings have been shrouded in mystery ever since he “disappeared” from the West, in effect turning his back on literature. Ouologuem has become an enigma for many, a mysterious figure as well as a highly respected author. Ouologuem’s silence is complex and the reasons will, perhaps, never be fully known. It is certain, however, that Ouologuem has blamed the publishers of Le devoir de violence for plagiarism controversies that followed the novel’s appearance in 1968. In the early seventies, Ouologuem claimed that numerous unauthorized deletions had been made in his manuscript, specifically references to Graham Greene’s It’s a Battlefield, André Schwartz-Bart’s Le dernier des justes, and other sources. Rather than acknowledging these revisions, the novel’s publishers simply disavowed all responsibility and placed the onus entirely upon Ouologuem. Nevertheless, Ouologuem’s refusal to write cannot be easily attributed to any ancient grudges he might bear towards the French literary establishment. What complicates matters is Ouologuem’s wholehearted return to Islam, the faith of his childhood. In the mid-1970s, Ouologuem returned to Mali, where he is now widely known as a devout marabout. However, even the earlier writings of Ouologuem’s “apostate” period cannot be fully understood without reference to Islam, specifically Tidjaniya Sufism as it has historically been practiced throughout West Africa. During a year’s residence at the Université de Ouagadougou in Burkina Faso, I searched for Ouologuem in order to conduct an interview with him. I hoped to better understand his “conversion” to Islam and his rejection of literature. Before leaving the United States, I corresponded with various academics who might know how to reach Ouologuem. Sandra Barkan, who had written an article on Dogon influences in Bound to Violence, told me she had heard a rumour that Ouologuem had become an active supporter of a mosque in the Dogon region of Burkina Faso. Others told me they had heard Ouologuem had become an ox farmer and an imam – though nobody knew for sure. That same week, I had a dream about Ouologuem in which he consented to be interviewed, but he was not happy about it. In fact, he was contemptuous of the whole affair. When I awoke, I told my wife about my dream, but I did little else, for it seemed somehow inevitable that the interview would take place. Rationally, I could not have explained why this was so, but I felt certain something would happen very soon. My break came during a conference at the University of Ouagadougou on the literatures devoir de violence. In the audience that day happened to be a French professor, working at the University of Ouagadougou, who had lived in West Africa for some twenty-five years – Professor Nicole Vinciléoni. She was interested in my discussion of Sufi elements in Ouologuem’s novel. After my paper, Professor Vinciléoni invited me to dinner at her home. She told me that she liked my paper in one important regard: I had suggested that the conflicting demands of secular and religious life among West African Muslims created a kind of “schizophrenia” and this non-Western form of schizophrenia could be observed in Ouologuem’s Bound to Violence, only most Occidental critics tended to misread Ouologuem’s disassociative (or “esoteric”) critique of Islam as a blanket dismissal. Professor Vinciléoni had observed such “schizophrenia,” which for her was not a pejorative term but rather an inadequate, Greek word for an experience little known or understood in the Western world. Since Ouologuem lived in the Mopti-Sévaré area, and since Ouologuem had reputedly become a devout Muslim, possibly even a marabout, she recommended that I get in touch with the main imams at Sévaré. If these men felt that Ouologuem should meet with me, it would be difficult for him to refuse an interview. Professor Vinciléoni also told me that there lived in Ouagdougou a certain El Hadjj Tall Sékou, a well known local figure and an immediate descendant of El Hadjj Tall Oumar, the Peul conqueror and great Sufi shaykh who had brought Tidjaniya-Islam to the Dogon country – with many prayers and great bloodshed. It was possible that I could secure an introduction to Ouologuem, or at least to the religious leaders of Sévaré, through El Hadjj Tall Sékou. As it turned out, the husband of Ute Fendler, a German friend who house, Jean-Claude Naba, was well acquainted with the son of Tall Sékou (or “Sékou Tall,” as the name would appear in the West). Jean- Claude had once attended school with Tall’s son, and could probably introduce me to Tall. He dined with Tall and told him about me. Tall agreed to meet and learn more about my objectives. In January, Jean-Claude and I drove to Tall’s house in one of the older sections of Ouagadougou. 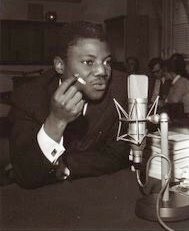 After introducing me to Tall’s family, Jean-Claude explained that I was editing a book on Yambo Ouologuem, and that I’d like to include a recent interview and other updated, biographical information. We were concerned, however, because of stories we had heard about Ouologuem’s strange behaviour. While Jean-Claude spoke, Tall sat back in his chair, patiently stroking his closely cropped head. He was eighty years old, as I had found out from Jean-Claude, though he seemed as healthy as a man in his early sixties. In a country where the life expectancy is less than forty years, I was amazed by his vigour and obvious good health. When I got to know him better, I found out that he had some twenty children between four wives. “So he’s not mad?” I said. “No, he’s a militant, like myself. A marabout teaches the Qur’an to children. Yambo is serious about his religion, but he’s not a marabout. A militant is not the same thing as a marabout, you see. A marabout has a particular job.” In his free hand, Tall clutched a white, intricately woven prayer cap along with a handsome, silver-handled cane. He was a big man with thin, gangly limbs from under his black robe. He decided to accompany me to Mali himself, along with his son Mountaga, so that he could formally greet his older brother, the recently appointed chief of Bandiagara. First, we would attend to the business of meeting Yambo Ouologuem, Tall said, and then we would drive to Bandiagara. What remained now was to work out the details of our journey. Now that Tall would accompany me, it seemed certain that I would meet Ouologuem. Organising our journey, however, proved to be extraordinarily trying. First, the University of Ouagadougou, where I taught American literature, was currently embroiled in the worst strike of its history. Every day, students were teargassed, beaten, arrested, and even tortured by the Blaise Compaoré government. At times, it seemed that a solution might be reached, and then classes would resume, only to be boycotted a few days later. Second, the feast of Ramadan approached, and Tall did not want to leave until after the celebration. In fact, as a “cadeau” I had brought to Tall a young ram, along with an envelope containing several thousand CFA, for his willingness to accompany me to Mali. This had caused some awkwardness for me, but Tall took it as rightful compensation and seemed content with the amount. Because of the excruciating heat that would come to the Sahel after February, our trip to Mali could not be delayed for long. Another practical problem was transportation. My own Toyota station wagon worked well within the city of Ouagadougou but it was not made for trips to the bush (as I had found out the hard way). What we needed was a “quatrequatre” or four-wheel drive, which would no doubt quadruple my costs. However, there was a friend of mine, an American named Robert Hans, and who was willing to take us in his Cherokee Jeep, but our proposed dates of travel posed some problems for him. Robert, who worked for the World Bank, had already arranged to have dinner with the brother of Blaise Compaoré, to discuss an urgent problem for him – namely, the Burkinabé government was trying to terminate his contract prematurely and force him out of the country. I had never really known anyone from the World Bank before, since both the World Bank and the IMF were banned from most of the conferences I attended and the organisations I belonged to. As we drove to pick up Tall, it occurred to me that I really did not know much about Robert either, except that he had worked for several years in Cameroon and had come to Burkina to help privatise the economy. Now in his mid-to late thirties, Robert was originally from New York City, but he had lived for many years in Miami, Puerto Rico, and Nicaragua. He was Jewish by birth, though he believed religion in general was a fraud. Our wives had become friendly through the International School of Ouagadougou where our children attended, and we had socialised on a few occasions at school events and children’s birthday parties. Already, Robert was irritated at Sékou Tall because he had delayed our departure until Friday after prayers. It did not help matters when I explained that many Muslims avoided travel on Friday because of the djinn. While fearing the worst, I was astonished when we arrived at Tall’s house and Robert began to converse with one of Tall’s wives in fluent Fulfulde, a Peul lingua franca he had picked up during his three years in Cameroon. I was even more surprised by how well Tall and Robert got along. Before we had even arrived in Ouahigouya, Robert had developed a real camaraderie with the old man, confiding in him his envy of Muslims – who could have four wives – and his great admiration for Peul women, their remarkable posture in carrying baskets and other objects on their heads. Tall began to jokingly refer to Robert as “le frere de Clinton,” after Robert told him he was a Democrat. The old man seemed to admire Robert’s incredible energy, even if he warned him about the excesses of his lifestyle. Robert’s wife, who was from Bolivia, called him “Vida” (Life), which was an appropriate enough nickname. The road from Ouagadougou to Ouahigouya is paved, but the rest of the way into Mali can only be passed by the sturdiest of vehicles. Because of our late start, we planned to spend the first night in Ouahigouya, Tall’s hometown of sorts, and then we would drive into Sévaré the next morning. As the African bush blurred outside the car window, Tall’s son Mountaga explained to me the many complicated alliances wherein his father had come to be heir-apparent to the chiefdom of Bandiagara, as well as the “first Muslim” in Ouahigouya. According to Mountaga, Sékou Tall was the great-grandson of El Hadjj Oumar; grandson of Aguibou Tall, builder of the palace at Bandiagara; and son of Alpha Makí Tall. Mountaga also informed me that the chief at Bandiagara was in reality chief of the entire Dogon people. At first, this seemed confusing to me given the rather obvious fact that Sékou Tall himself was Peul (or “Fulani”) and not Dogon. In other words, I could not figure out why a Peul was to be appointed chief of the Dogon people. The more Mountaga spoke, however, I gradually began to realise what I should have known from the start: Tall was himself a descendant of the very “saifs” criticised in Ouologuem’s novel, the so-called black Jews who, according to Ouologuem, shamefully exploited the teachings of Islam to oppress the masses of Nakim, or the more “primitive” Dogon. Later, when I asked Tall if it was true that the Peul were Jews, I saw that my use of the word “Jew” had been indiscreet, acceptable only because I was a foreigner. What Tall preferred to say was that the Peul originally came from Palestine. “It is said that the Peul are a white stream in a land of black water,” Tall said, “a black stream in a land of white water.” The Dogon people whom I spoke with in Mali did not take such a lyrical view of things, but the mysterious origins of the Peul turned out to be a favourite topic of Tall’s, who was obviously proud of his ancestry. Still, what I had not fully understood before speaking with Mountaga was that Yambo Ouologuem’s grandfather, Oumar Karambé Ouologuem – who was of course Dogon – had conspired with the family of El Hadjj Tall Oumar to subdue the Dogon country on behalf of the Peul. In fact, this is how Sékou Tall and Boukary Ouologuem, Yambo’s father, had come to be childhood friends. 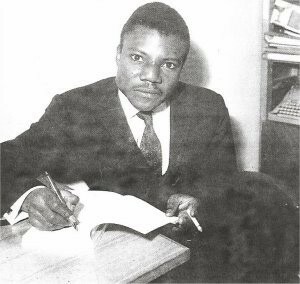 For unlike the vast majority of Malians, Yambo Ouologuem was no lumpenproletariat, or poor subalteran, but rather one of the wealthiest and most highly educated men in Mali. However, if Ouologuem came from an elite, aristocratic caste, I saw now that it was because his family had sided with the Peul in ruling over the Dogon people. From Sékou Tall, I also learned that Ouologuem came from a long line of Tidjaniya Muslims, the very form of Sufism imported by El Hadjj Tall Oumar. Sékou Tall himself was a practicing Tidjaniya Muslim, though he preferred not to talk about it, except to say that it was dangerous to discuss such things. While Yambo Ouologuem would not have been directly exposed to Sufi teachings as a child – since, as Tall pointed out, Sufi teachings are certainly not matters for children – Yambo’s ancestors on both sides of his family were among the most prominent Tidjaniya Muslims in the region. In other words, for Tall, Yambo Ouologuem was in some sense “born” a Tidjaniya Muslim. The more I learned about Ouologuem’s prominent family, the better I understood Tall’s earlier insistence that Yambo Ouologuem was no marabout. For Tall, a marabout taught the Qur’an to young children and was supported by his pupils who begged for alms on his behalf. In many Dogon villages today, Mountaga explained, Muslim children as young as four years old commonly leave their parents to follow a marabout for several years, until they have sufficiently mastered the Qur’an. A child’s time with a marabout is determined by his ability to recite the Qur’an from memory. In this way, the marabout can devote his life to religion and to the study of the Qur’an. Because Yambo Ouologuem came from a wealthy family, and because he was freed from the necessity of taking on pupils, this disqualified him in Tall’s eyes from being a marabout. In Sévaré however, others told me that there were marabouts who did not take on pupils, whose wealth made it possible for them to be freed from this obligation. Despite Tall’s reservations, the consensus in Sévaré was that Ouologuem was most definitely a marabout. However, as I was soon to learn, Tall was mistaken about Ouologuem in other ways as well. When we finally arrived in Sévaré the next afternoon and began to search for Ouologuem in earnest, Tall was clearly astounded at the reports we heard: at the Mosquée Riméibé, an ancient imam named Pâté-Touré who was nearly blind and almost toothless, told us that Ouologuem was indeed a marabout but a very dangerous one, a man who walked the hardest of paths. As the old imam fingered his rosary, Sékou Tall leaned forward in his chair, his mouth agape at the accounts of Ouologuem’s doings. As it turned out, Ouologuem not only did not teach at the French school, but his hatred of the French was such that he sent his own children to the Arab-language school in Sévaré. At present, he occupied a government post at a Maison de jeunesse, which required very little of him. This was necessary, the old imam told us, because Yambo did not have many lucid days; in fact, in the eyes of most, Ouologuem was quite mad. Though reluctant to use such terms himself, Pâté-Touré insisted that Yambo’s was a special case, a man who had been “touched” by Allah. The old man told us about the incident when Ouologuem threw rocks at two French tourists who had attempted to photograph the inside of the Mosquée Riméibé. This incident has a quasi-legendary status in Sévaré and we were to hear several different versions of it during our stay. But there were other incidents as well. Not long ago, Ouologuem had provoked a quarrel at the public courthouse, exhibiting such rage that many fled in terror. On the streets, he might approach a Muslim brother and begin expounding upon the most esoteric of questions regarding Qur’anic law, the hadith, dress codes, and other arcane religious matters. While his discourses were often brilliant, he tolerated absolutely no interruptions or contradictions. If his monologues were ever interrupted, he would break off, as if deeply affronted, and then go abruptly about his business. One incident in particular seemed to bother the old imam. Before prayers one Friday, he had met Ouologuem on his way to the mosque. Under one arm, Yambo had carried a worn edition of the Qur’an. When the old imam extended his right hand in greeting, Ouologuem declined to shake hands, claiming that he had not yet performed his ablutions. In refusing to shake hands, Ouologuem implied that he was unclean, yet his right hand rested upon his Qur’an. For Pâté-Touré no other conclusion was possible: it was not Yambo Ouologuem who was unclean but he himself. Given the saintly demeanour of the old man, such an inference seemed not only highly insulting but comical. It upset Sékou Tall so much that he got up from his chair and began pacing the room. We dropped off Sékou Tall and Mountaga at the home of their relatives, while Robert and I took a room at the Hotel Oasis in Sévaré, as it turned out, across from a large piece of property that was owned and managed by Ouologuem. Tall planned on meeting that evening with Ouologuem’s uncle, the former mayor of Sévaré, El Hadjj Timbely Oumar, to arrange the introduction. From the hotel patron and his son, I heard more stories about Ouologuem, his religious fervour, his wealthy father, and his eccentric behaviour. The term that I heard repeatedly in connection with Ouologuem was “le fou,” or madman, yet all agreed that he was the most highly educated person in Mali, and a truly great man. “They really treated him very badly over there,” the patron said. “You see, the French did this to him.” That night, El Hadjj Timbely Oumar came to pay his respects to Sékou Tall, as we all sat in the courtyard of Tall’s relatives in Sévaré. Timbely was accompanied by nearly a dozen elegantly dressed men, who encircled him as if part of a royal entourage. Timbely himself wore a white boubou with gold trimming and a white prayer cap. His face was truly remarkable, one of the wisest looking men I’d ever seen. After Tall and Timbely exchanged greetings, Robert and I were introduced. I explained to Timbely that I was editing a collection of essays on his nephew, Yambo Ouologuem, and I’d like to speak with him. I did not want to disturb him, if he truly wished to be left alone, but I wanted to be sure that he was aware of this opportunity to air his views. Timbely listened patiently to my explanation, his hands resting on a sceptre-like cane. At last, he told me that he was happy I’d come, and that in actuality he’d been anticipating my visit. One of Timbely’s nephews described Yambo’s current state of being. On the streets, Ouologuem at times greeted his friends, but he might just as likely ignore them altogether. One evening, when a group of lycée students, both boys and girls, happened to study together under a streetlight, Ouologuem grew so enraged at the impropriety of this gathering that he grabbed a stick and smashed the streetlight into pieces. He also regularly lectured to the Muslim mothers of Sévaré who allowed their daughters to expose their hair outside their veils, or who wore any kind of decorative mesh. For the second time, I heard a story about Ouologuem’s refusal to accept his government pension, much to the chagrin of his family. Because Ouologuem believed the present Malian government and president to be corrupt, he refused to accept any money from them whatsoever. During breakfast the next morning, Robert and I discussed what we’d learned so far. As things stood, my fears about bringing Robert along seemed completely unfounded. In fact, he had proven to be a great help, and I felt that I had been unduly prejudiced against him because of his job at the World Bank. That morning, we reviewed Oumar Timbely’s plan for meeting Ouologuem. First, Timbely and Sékou Tall would go alone to greet him on the pretext that Tall wanted to express condolences over the death of Yambo’s father. (This confused me somewhat since, in Ouagadougou, Tall had originally told me that he had personally attended the funeral of Boukary Ouologuem.) After sufficient time passed, Robert and I would then casually join them and, in the company of Timbely, Tall, and others, Ouologuem would most likely feel obligated to greet us. Timbely also warned us to hide Robert’s Cherokee Jeep, which still bore the decals of “Coopération Francaise,” the French organisation from which Robert had purchased the vehicle. If Yambo saw the decals and believed we were French, it was certain he would have nothing to do with us. When we arrived at our predetermined meeting place, a complication arose when it turned out that Ouologuem was not at home but making a tour of Sévaré. Tall and I were content to await his return, but Robert grew frustrated and insisted that we drive to the mosque to find him. “Listen, Tall will sit around here chewing kola nuts all morning,” he told me. “Then we’ll never get to see the Dogon country. Believe me, it’s like this at my office. You’ve got to push these guys at times, or you’ll never get anything done.” We argued the question for awhile, but Tall himself had no objections to Robert’s plan, so we all climbed into the Jeep and began searching for Ouologuem. At last, we found him at the public courthouse, where he had gone to photocopy some old documents. These documents, we learned later, were letters written by some Frenchmen during Mali’s colonial period. Ouologuem wanted them preserved in the public archives as a testament to France’s crimes in Sévaré. For now, we carefully hid the Jeep behind a tree, while Tall and Timbely approached Ouologuem on the front steps of the courthouse. A few minutes later, Oumar Sow, one of Tall’s nephews, motioned for us to come. Ouologuem never saw our approach because his back faced us, and he was deeply engrossed in conversation with Tall and Timbely. He wore a sky blue boubou with a white scarf, white slippers, and a white prayer cap. His arms dramatically flayed about as he spoke, the packet of letters clutched in one hand. He immediately noted our presence, but did not break off his speech. When Timbely introduced us, he irritably shook our hands but did not allow interruption of the flow of his lecture, an energetic clarification of the different orders of Muslim religious leaders. However, his speech became faster and angrier, his eyes glaringly fastened upon his uncle. As he spoke, I became transfixed by his face, which seemed to me profoundly ugly, not unlike a bust I’d once seen of Socrates, the dog faced philosopher, or perhaps Danton. His cheeks were round and enormous, and they were set in an intense if not bellicose grimace. I lost his train of thought, and only caught up again when he made a heated reference to Judas Iscariot, all the while glowering at his uncle. Timbely only smiled serenely, and soon we all sat upon metal chairs, brought out by the judge and his secretaries, as Ouologuem continued his discussion of the Muslim laity. I asked him if I could record his voice, but he refused and said, “No, this is not an interview. I came to the courthouse to visit my friends, that is all. Besides, these things can be used against me. I have been exploited before.” Nevertheless, his friends repeatedly encouraged him to speak with me, or to at least look at the list of questions I had prepared. In the large circle of his elders and friends, I began to feel sorry for Ouologuem, who had clearly been ambushed by all of us. After awhile, however, he warmed to the idea of being interviewed and even seemed to enjoy the attention he was receiving. He spoke freely on a wide range of subjects, though he never directly answered any of my questions. In fact, he spoke for about three hours altogether. During this time, I listened attentively, wondering how I could possibly remember everything he had said. Later, after going over my notes with Robert, Sékou Tall, and Mountaga, we all agreed upon the basic of what we had heard. It was difficult, however, to follow Ouologuem’s reasoning since his speech was filled with references to his private dreams, prayers, and religious experiences. He also spoke in parables, analogies, and riddles, insisting that the Greek syllogism was vastly inferior to the paradox in its communicative power. His reading in Muslim literature clearly exceeded that of everyone present, who deferred to him entirely in these matters. Often, he built upon a subtle network of allusions from the Qur’an and the hadith, which he seemed to assume – erroneously – was knowledge shared by all those present. Repeatedly he insisted that God speaks through dreams, that the future can be known if we are attentive to our dreams. At times, whenever the subject of French colonialism drifted into his speech, he grew angry all over again, leaning forward in his chair, his voice nearly shouting in rage. His energy was intense, perhaps manic, and when he broke off into a sudden joke, dispelling his previous acrimony, our relief was immense. After one of his jokes, Ouologuem would often slap hands with the judge, with whom he was on very good terms. Perhaps Ouologuem’s most important revelation was that former President Moctar Oul Dada had once offered him a position as Minister of Education in Mauritania, clearly no job for a “fou.” Three times Ouologuem had been asked to journey from Mali to Mauritania to completely reform its educational system. The first two times, Ouologuem had refused the offer, leery of the intent of Mauritania’s Arab-led government, whose policies towards blacks have historically verged on the genocidal. Given the fact that Mauritania banned slavery as recently as 1980, Ouologuem was rightly cautious about Dada’s offer. However, the third time, Ouologuem had been visited at his house by the ambassador of Mauritania in Mali and by Mali’s ambassador in Nouakchott. This time, Ouologuem accepted the offer, contingent upon an interim period of several months, so that he might have time for prayer and reflection. However, for reasons that were never clear to me, Ouologuem had not yet assumed this position, apparently as a result of certain political complications that had developed later. The challenges he would confront there would arise chiefly from his desire to synthesise the requirements of a thoroughly modern and yet thoroughly Qur’anic education. He was inclined to accept the position, he told us, because of his desire to end the suffering of his brothers in Mauritania, that is, black Muslims who have historically been oppressed and enslaved by Arab Muslims. In fact, one of Ouologuem’s greatest fears seemed to be that he would be turned into a “petit Senghor,” a Malian curiosity like the mosque at Djenné, or any other tourist attraction. The scorn which Ouologuem heaped upon Senghor echoed a common attitude about the Senegalese throughout the Dogon country. While the Senegalese abused the Dogon as “primitives,” the local Dogon (as well as Peul, Malinké and others) ridiculed the Senegalese as French boot-lickers and selfhating blacks. In any event, almost everyone present seemed to share Ouologuem’s sentiments about Senghor, or they were at least amused by his rapid-fire monologue. When I asked him his views on the Rushdie affair, Ouologuem refused to comment (as he did with any of my direct questions), but it was clear he had given the matter a great deal of thought. His friend, the judge, seemed particularly upset that Ouologuem would not respond to my question, and he informed us that they had been discussing Salman Rushdie only a day ago. However, Ouologuem steadfastly refused to comment, except to say that his remarks would probably be misunderstood and used against him. In fact, Ouologuem returned to his invective against Senghor and, to the amusement of all, he began to ridicule négritude, especially its reception in the United States. At this point, it dawned on me that Ouologuem believed I was myself an African American in some remote way, a suspicion that was later confirmed when he confided that he had foreseen this visit in a dream. It was evident that the situation of the African American, especially in the United States, incessantly occupied his attention, and even formed a private obsession with him. He spoke at length of his time in the United States, his appreciation of Malcolm X, his meetings with Cassius Clay, and his participation in the formation of Black Studies programs at several American universities. When Robert asked him which states he visited, Ouologuem again refused to answer directly, but he finally laughed and said, “In any case, I was not in any pious state.” Unexpectedly, he blurted out, “You know, we Africans cannot be held accountable for the actions of our brothers over there. This is a fallacy. Many would disagree with me, of course, and I have heard it said that if your goat destroys your neighbour’s garden, you are responsible for the damage. Still, these Africans who are causing so much trouble are not Muslims.” Like Senghor and all advocates of négritude, he said, blacks in the United States are too obsessed with skin colour. “They have been infected by too many poisonous ideas. In Islam, however, there is no colour.” Here, Ouologuem cited two or three hadith wherein it is said that people of all colours are equal in God’s eyes. “Blacks in America must repent,” he insisted. “Until they do so, they will continue to live in their own private hell, and this has nothing to do with us in Africa.” Here, Ouologuem claimed that his own problem, as well as that of his fellow Malians, was hardly a question of skin color but rather imperialism. With the arrival of the French in Mali, the plight of his fellow Dogon was more closely akin to that of the American Indian, “a new spaghetti Western” in Africa. Above all, he feared that an extraordinarily rich culture, and its many ancient customs, could be destroyed in favour of the most vulgar technological innovations – all in the name of modernisation and progress. Later, I was to learn how serious he was about this when I discovered that, much to the frustration of his wife and mother, Ouologuem refused to allow electricity to be installed at his house in Sévaré. Ouologuem also refused to have his photograph taken by me, citing the biblical injunction against graven images. Timbely, Tall, and everyone present expressed their outrage at Ouologuem’s refusal, and even pleaded with him to change his mind. I also reminded him that I had seen a movie theatre across from the Mosquée Riméibé, but he would not budge. The Qur’an tolerated no equivocation on this issue, he said. In fact, this was one of the most defining features of Islam, as opposed to more infidel variants of Ibrahimic religion. As for the movie theatre, this was a fault of the local Muslim community, much to be regretted. If he had intended to shock everyone, he enjoyed one of his greatest successes. The effect could not have been more jolting if he had suddenly heaved a bucket of human waste upon the gathering. However, there were more surprises in store for us, for in the interim he had instructed his driver to bring the Cherokee Jeep around. When we left together from the courthouse, James stood directly in front of the “Coopération Française” decal until the moment Yambo turned the corner. At that point, James had been told to step aside and reveal the decal. Later, Robert told me that he had merely wanted to “get a rise” out of Ouologuem, to see if he could not “turn Yambo into Rambo.” Not surprisingly, Ouologuem was distressed when he saw the French decal, until I was able to assure him that Robert had only purchased his vehicle from the French, and that he was indeed a true American. Afterwards, we were all exhilarated at our great success. Those who knew Yambo were amazed that he had spoken at such length. Oumar Timbely told me that we had caught Yambo on a good day, when he had been at his absolute best. Our luck had been extraordinary: he had been lucid, funny, sharp witted, and entirely coherent. It was true that there had been moments of great intensity, when we all sensed his stupendous anger, but the presence of Timbely, Tall, and the others seemed to have a calming effect upon him. In retrospect, I questioned the local consensus that Ouologuem was mad, which seemed to me entirely too severe a judgment upon him. Sékou Tall also assured me that, in his own estimation, Ouologuem was no madman. “He’s a disappointed man, that much is clear,” Tall said. “But he’s not any madder than the rest of us.” In parting, I left a copy of my interview questions with Oumar Sow, one of Tall’s nephews. Mountaga informed me that Yambo would pray about this matter during our journey to Bandiagara. On our return trip through Sévaré, he would decide whether or not to speak with me any further. When we returned to Sévaré, Tall’s oldest nephew walked me over to the house of El Hadjj Timbely Oumar, Ouologuem’s uncle. I told Oumar Timbely that Robert could not leave his hotel room because of diarrhoea, the old man smiled with the corner of his eyes. “Did he eat too much?” he asked. “It’s possible,” I said. “I don’t know. Probably something disagreed with him.” Unexpectedly, James broke out laughing and told everyone it was not the food but the mixture of tequila and beer that Robert had been drinking all afternoon. There was some general merriment at Robert’s expense before Tall’s relatives, who now seemed content, left me alone with Timbely. In his own house, which seemed like a palace with its complex of buildings, courtyards, and labyrinthine corridors, Timbely’s stature was even further enhanced, and I realised now that he was a man of incredible, even extravagant wealth. It happened that an architect was on the premises that day, a white South African, who had spent the afternoon sketching designs of Timbely’s dwelling. The architect showed me how Timbely had ingeniously constructed his compound so that he could visit any of his three wives without the others knowing about it. As Timbely and I relaxed in reclining chairs, I could not help but notice the many beautiful women who passed by us, each colourfully dressed in the richest basin fabrics. All wore their hair in long tresses with cowrie shells and other jewellery enmeshed within their intricately woven braids. Soon, Timbely grew irritated at my lack of attention, until I turned my chair away from the courtyard. Immediately, we sent out James and a nephew of Timbely’s to see if Ouologuem would not come by. They had been instructed to tell Yambo that I was leaving in the morning, and that I wanted to say farewell. In the interim, we waited for some time as I translated on behalf of the architect, who had almost no French. We discussed the student strike in Ouagadougou, and President Blaise Compaoré’s recent amendment to the Burkinabé constitution [to become Life-President]. As I was to discover shortly, Burkinabé politics were a private obsession of Ouologuem’s as well, and it seemed that many in Mali were carefully watching what happened in Burkina. “The trouble with Compaoré is that he wants to be king, not president,” I said. Timbely smiled and quoted Abraham Lincoln’s aphorism about fooling all the people all the time, which indeed seemed applicable in Compaoré’s case: so far, I had yet to meet a single person in Burkina Faso who actually liked or trusted their president. This was perhaps inevitable, given the nature of Compaoré’s rise to power, that is, after gunning down the former Burkinabé president, Thomas Sankara, who was still tremendously popular with the people. Our conversation was interrupted, however, when James and Timbely’s nephew returned with news of Yambo. “He spoke of Sankara?” I asked. By now, we had arrived at Ouologuem’s house where I was to hear much of what James told me verified. For the moment, I was too astonished to know how to respond. We knocked at Ouologuem’s gate and were greeted by his mother, an ancient, veiled woman who had some trouble with the heavy chains upon the metal posts. The old woman informed us that, unfortunately, Yambo could not speak with us that evening because he was in mourning and occupied with his nightly prayers. We persisted, however, insisting that it was Yambo who had sent for us. “I’m leaving early tomorrow morning,” I told her. “I have an important message for him.” Finally, she relented and went to get her son. Ouologuem greeted us but refused to shake hands, as he had already performed his ablutions. Our presence did not seem to make him happy, but his mother offered us chairs while he himself sat upon a huge, felled tree limb. It was completely dark now, except for the light of the moon and stars. Ouologuem’s courtyard had a wild, unkempt look with scraggly bushes and vegetation everywhere. We were also introduced to Ouologuem’s grandmother, who sat in complete darkness further under the house’s awnings. “Silence is always better, you see. This is why I refuse to answer your questions. We speak too much, myself included. Jesus was a silent man. Muhammad was a silent man, too. We forget this with all our books and radios. We drown ourselves in meaningless noise. But if you are able to be silent, you will see that it is much better than speaking.” He paused for a moment and placed both hands on his knees. He seemed tired now, as if indeed the effort to speak exhausted him. “I have seen Jesus more than fifty times,” he said. “I have spoken with him and with the Prophet. The angels, too, including Gabriel, and they’re mostly silent. You must be very careful with people who speak a lot. They think that they know a lot, but they really know nothing.” Ouologuem himself fell into silence at this point, as if listening for the sound of the wind blowing through the trees. “I am not a blessed man,” Yambo insisted. Ouologuem arose from where he sat, preparing to dismiss us. He again apologised for not shaking our hands and told us that it was time for his evening prayers, that we had detained him long enough. He disappeared into the darkness of his courtyard, and we were led to the gate by his mother. The interview had reached its conclusion. “Yes,” said James. “You are right about that. Now you are speaking from the Bible.” Both James and Robert were somewhat surprised when I told them that the saying “God helps those who help themselves” did not come from the Bible but was coined by Benjamin Franklin. Robert in particular was amused by this, which made him feel all the better about being an American. He was currently in the process of securing an entry visa to the US for James, and he was certain that once James arrived in America, he would feel the same way he did. My search for Yambo Ouologuem had ended. Back in Ouagadougou, I met several more times with Sékou Tall and Mountaga, who both insisted that Ouologuem was no madman. Tall promised to write me a piece for my book, offering his own perspective on Ouologuem’s current doings. Mountaga only nodded serenely and said that Yambo was “dur” and that was all. He was one of the “hard ones,” not unlike his own father. As for the books Yambo had written some years ago, Mountaga said, these were all literary questions, and so they had of course ceased to interest him. Christopher Wise is the editor of Yambo Ouologuem: Postcolonial Writer, Islamic Militant, a collection of takes by Wole Soyinka, Anthony Appiah and others on the life and work of Yambo Ouologuem. Most recently Wise wrote an introduction to the new edition of Le Devoir de Violence.